Panayota SOURTZI, RN, HV, PhD. 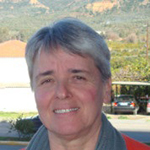 She is currently professor in Occupational Health Nursing at the Faculty of Nursing, University of Athens and 2nd vice-president of the Hellenic Association of Gerontology and Geriatrics. She teaches, among other subjects, occupational health, health education methodology, gerontology nursing and has published mainly in the fields of health promotion and occupational health. She was involved in the FRR-Friendly Rest Rooms for Elderly People, in the Greek team of the SHARE- A survey of Health, Ageing and Retirement in Europe project and various health promotion projects funded by the EC. HAGG was established in 1977 and its main aim was to study the issues of ageing, through research, education and provide proposals to the state. HAGG organizes a biannual national conference on Gerontology and Geriatrics; the 14th Conference is scheduled for 2017. It has also participated in national and EU project related to ageing. In these projects health promotion of older people was the main focus and, adherence to both preventive measures and treatment was included. Recently, HAGG proposed a holistic health promotion and prevention for older people proposal to the Ministry of Health, which was adopted and in 2015 the first national pilot devoted to Diabetes-2 prevention and adherence to treatment was implemented. The programme is planned to run every year with a different focus under the code name IPIONI. Technology/ICT applications for improving prevention and adherence to treatment are within the scopus of the programme.